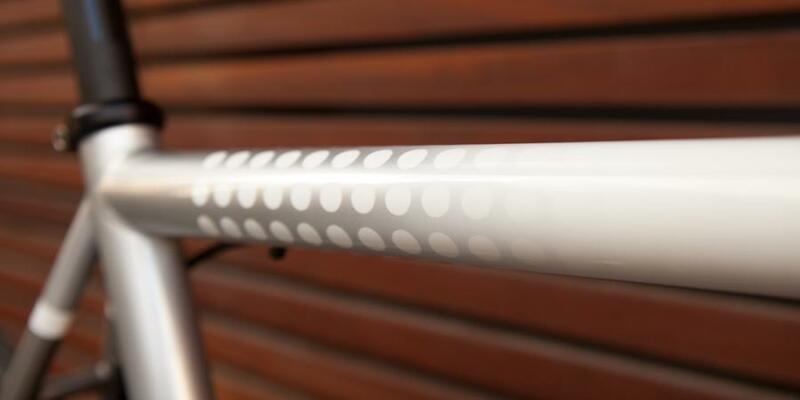 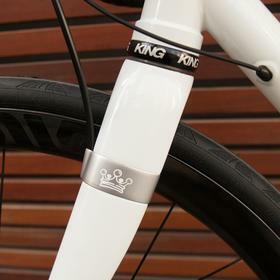 A new take on the classic fade paint, this Independent Fabrication Ti Crown Jewel features a white front end that crossfades into metallic silver via white polka dots. 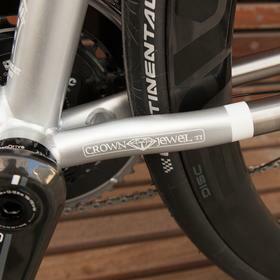 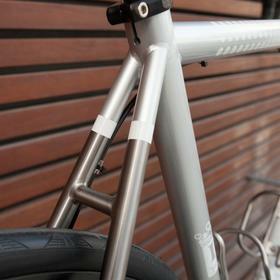 The rear triangle is raw titanium with some classic banding paint. 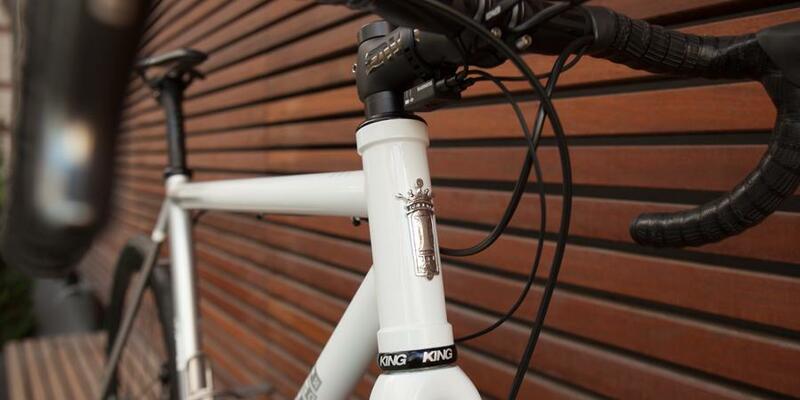 The frame is finished with a solid silver head badge. 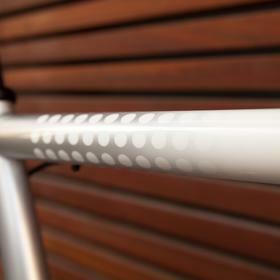 The frame may be a nod to heritage, but this build is no retro project. 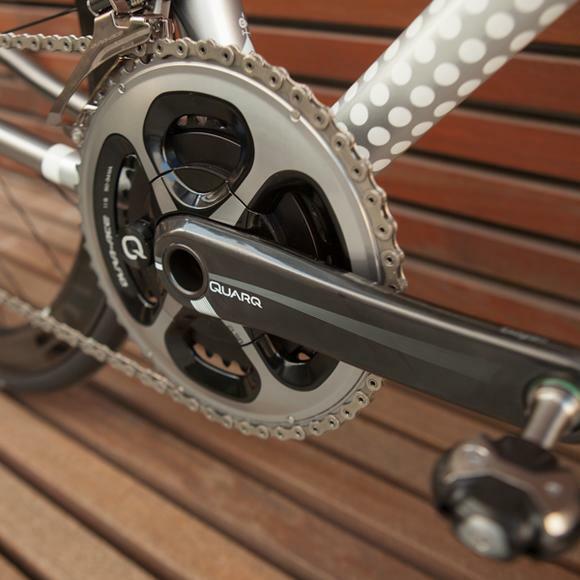 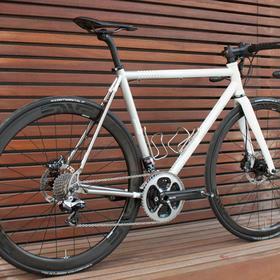 Di2 with a Quarq power meter will take care of some serious data collection in style. 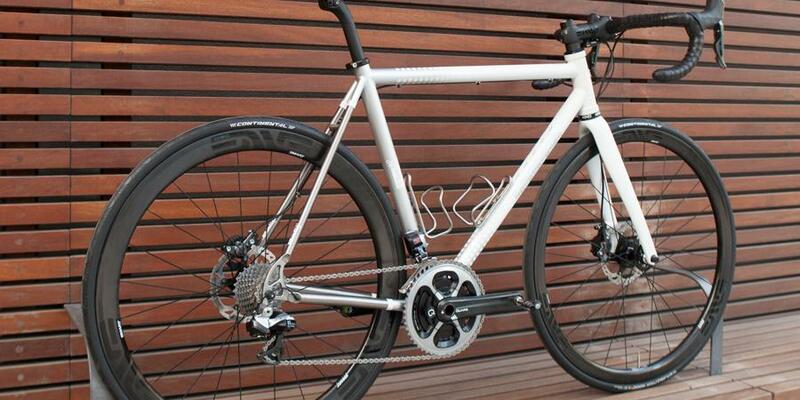 Full ENVE finishing kit and wheels. 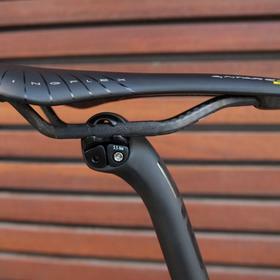 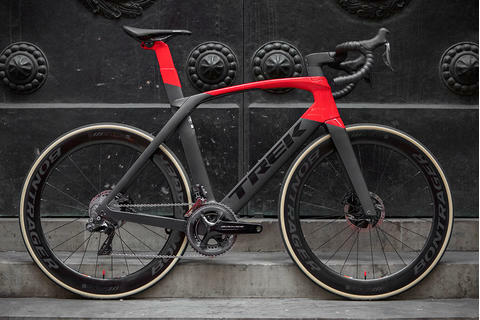 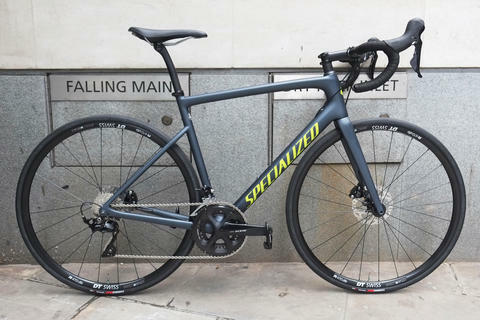 The choice of hydraulic disc brakes makes this a bike for all seasons and at the cutting edge. 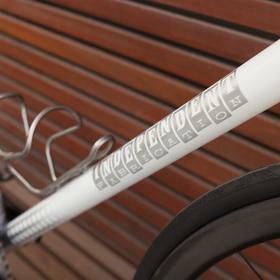 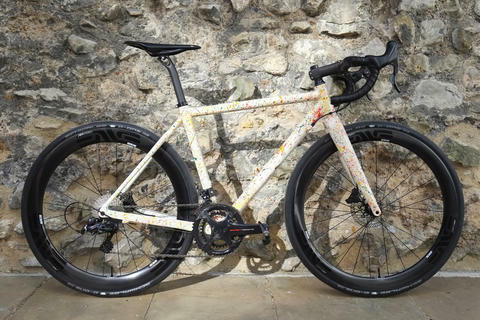 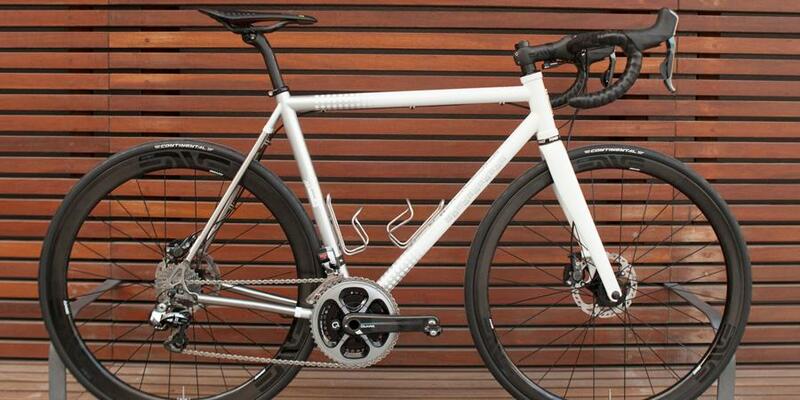 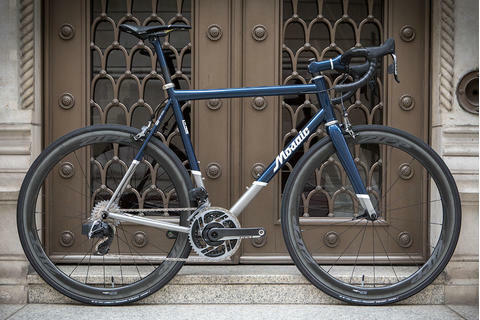 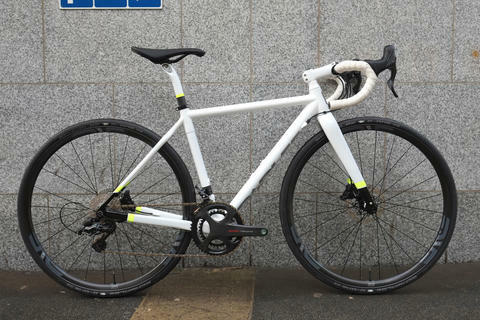 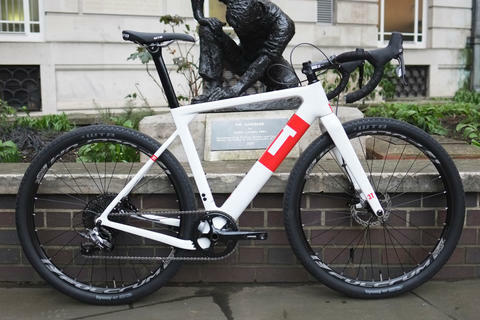 With Indy Fab's frame building excellence, the ride feel of titanium, the stunning paint and the carefully curated components this is a true dream bike. 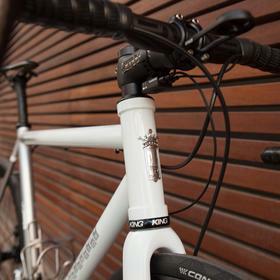 Talk to us about Indy Fab today.